The man shot himself in the head in front of the 106th Precinct stationhouse in Ozone Park. A distraught man committed suicide in a vehicle parked in front of the 106th Precinct stationhouse in Ozone Park Friday morning following a quarrel with his ex-girlfriend, according to police and published reports. Members of the precinct found the man, 25, around 9 a.m. seated behind the wheel of an Infiniti sedan with a single gunshot wound to his head. The victim was removed from the vehicle, which was parked in the middle of 101st Street between 103rd and Liberty avenues outside the stationhouse, and rushed to Jamaica Hospital Medical Center, where he died. A firearm was discovered inside the Infiniti. 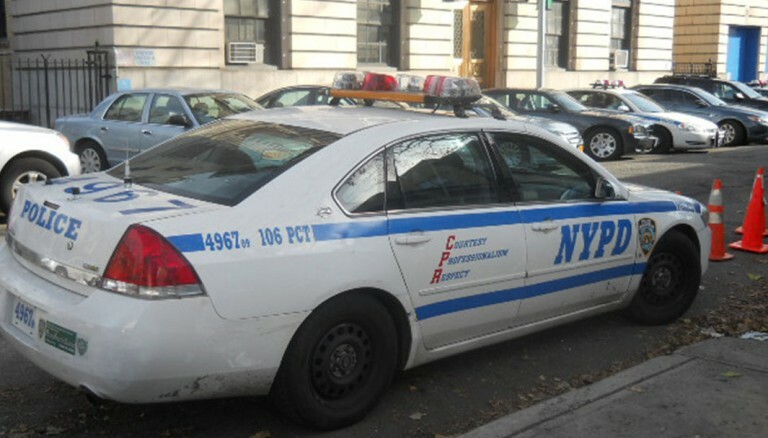 According to a New York Daily News report, the man, whose identity has not been made available by authorities, had been wanted for questioning in connection with an alleged domestic row with his ex-girlfriend involving a gun on Thursday.